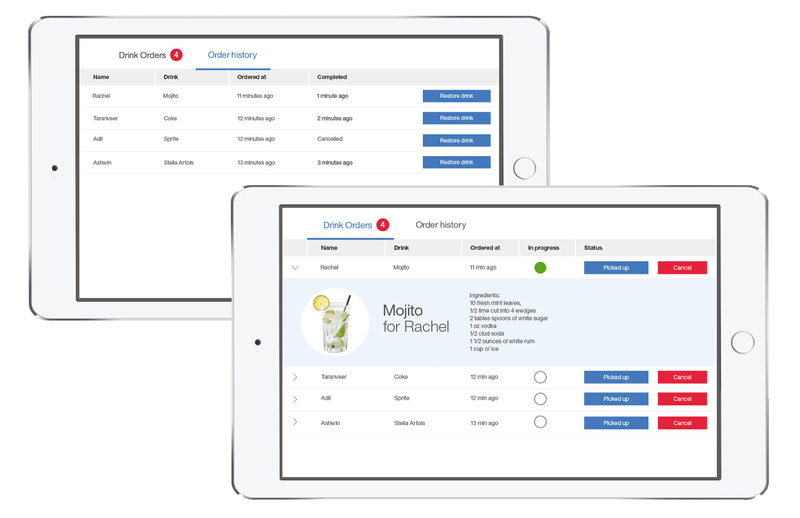 IBM Drink is an experience that allows attendees to order drinks through their mobile device or iPads stationed around a conference. 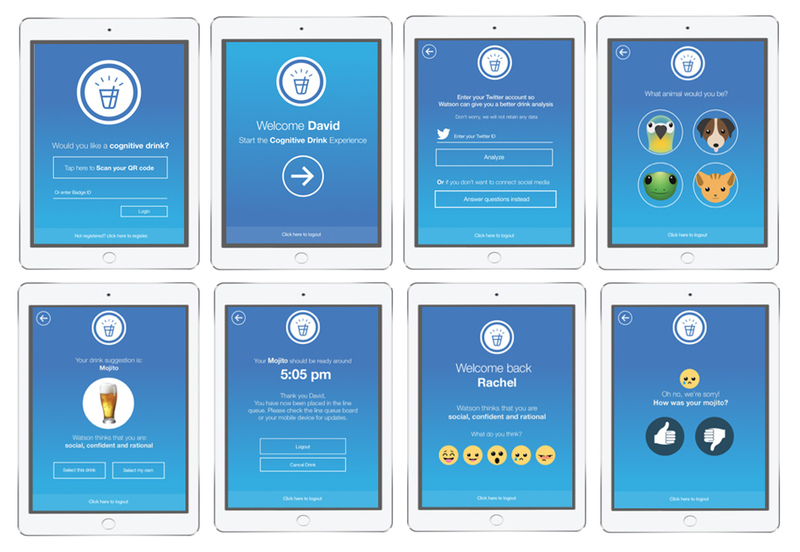 Watson can either connect to your social media or ask questions, to help suggest drinks to attendees based on their personality results. Once a drink is selected they are given place in queue to pick it up. While you enjoy your drink, read your full personality profile, delivered to your email. If the attendee returns for another drink, they can tell Watson how it did in selecting their drink and guessing the personality. In a conference environment it’s tough to grab the attention of attendees while keeping their interest in the actual product and service you are trying to sell. Users are all about a personalized experience, they want to feel like their interests and preferences are being accounted for. IBM drink aims to attract attendees to IBM products and learn the potential capability of Watson. 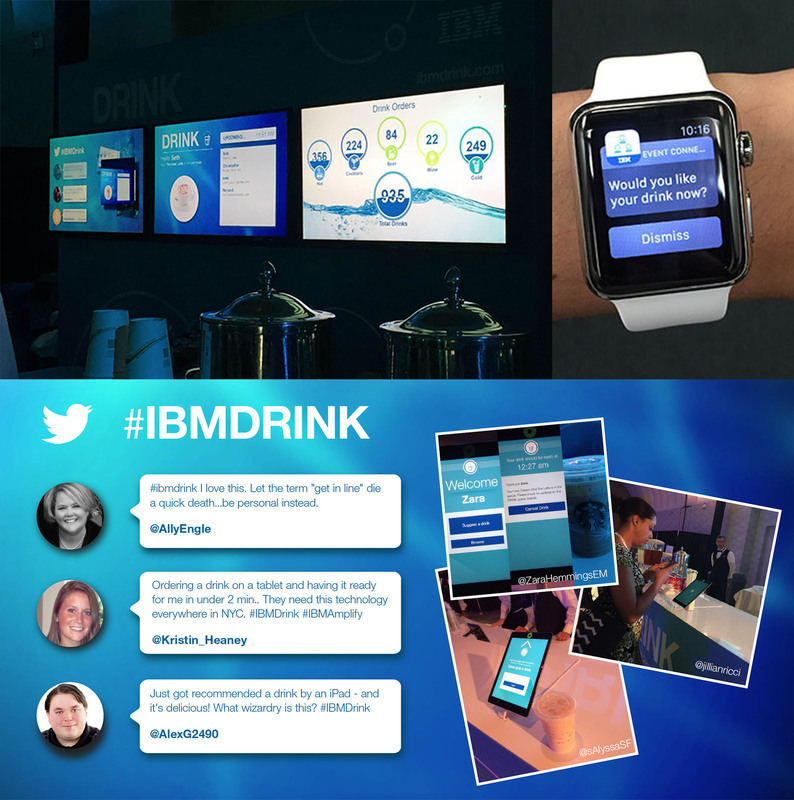 IBM Drink is a cognitive application powered by Watson personality insights that selects the best drink for you based off of questions attendees answer or your twitter feed. Subsequently, after you’ve tried your drink you can give feedback of the drink you previously had. IBM Drinks cognitive ability will learn how to give better recommendations and select a better drink for you based off of your feedback. 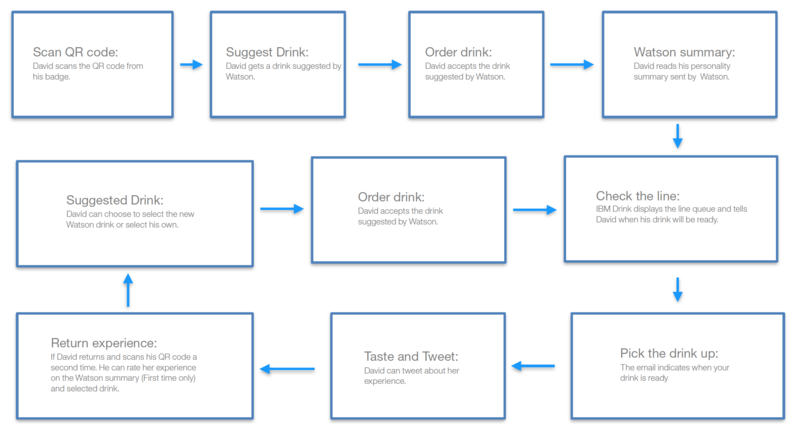 Using wireframes and prototypes we tested our IBM Drink journey map with coworkers to see if the user experience was right, and if the experience lead to a delight. We also tested personality matches with what Watson came up with. Based off of our findings we prioritized what was realistic in our timeframe. We decided the timeframe, what worked and what needed more work. Using QR codesWe used QR codes to log in attendees. For our first couple of conferences we realized that attendees weren’t clear on how to use a QR codes. We were surprised and came up with a temporary GIF solution. Later on we we able to activate the iPad camera from the pedestal to show exactly what the camera was seeing.